Recognize that song? Ever had a Bar or Bat Mitzvah? Yep, that’s Hava Negila, a Hebrew folk song that’s sung at pretty much any Jewish event with even the slightest excuse to carry someone around in a chair. Given VW’s history, it’s sort of an ironic choice, though, then again, maybe this was Volkswagen’s very subtle way of paying a quiet tribute to Josef Ganz, the Jewish auto journalist and car designer that contributed heavily to the Beetle’s design, despite having his contributions erased by the Nazis. 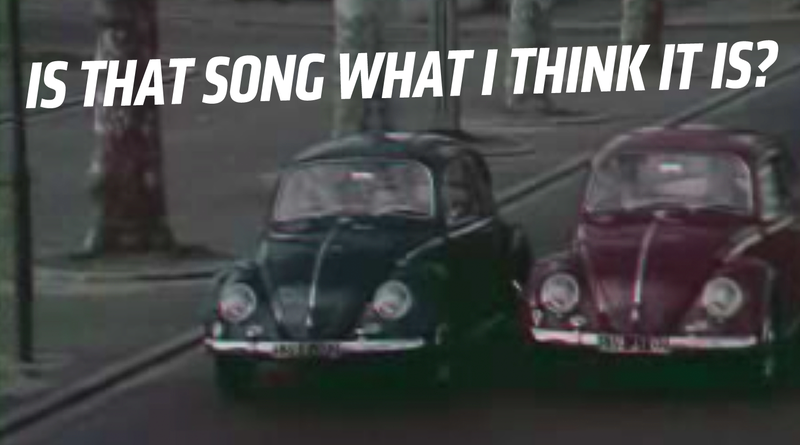 Who cares, I guess; it sort of works as a soundtrack to a Beetle-on-Beetle race.